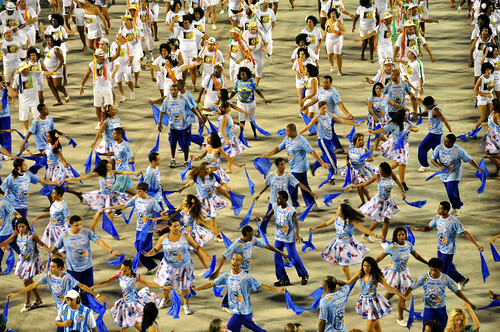 All the costumes you see in the Samba Parades are handmade by members of the various Samba Schools. 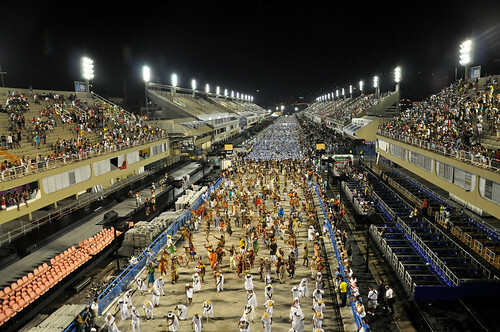 Costume design, preparation and manufacturing are all created at the Samba Schools’ headquarters take place in Samba City. 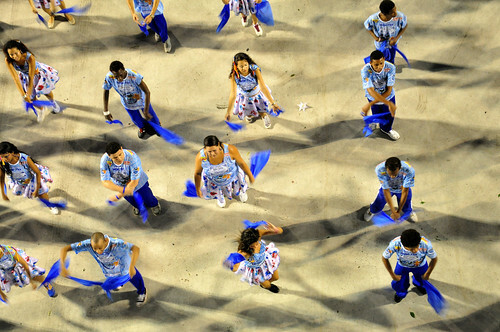 Costumes are designed according to the theme chosen by the Samba School and often incorporate the official school colors. 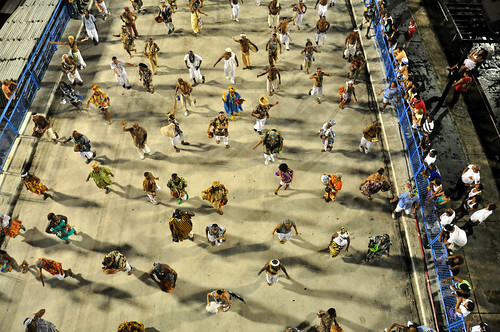 Each Samba School exhibits a wide variety of costumes to tell their plot or samba story. Different wings of the parade each have their own set of unique costumes. Costumes range in price from around $200 for the less elaborate designs to upwards to $10,000 for the most ornate ones! Ground Wing costumes are available in two different qualities, with one typically being shinier and with more feathers than the other, more basic costume. 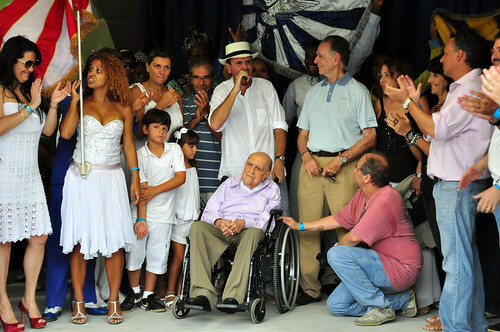 Watching the glorious Sambadrome parades from the sidelines is an exciting experience, but by purchasing a Samba School costume, you too can join on the fun and march down the Passarela Professor Darcy Ribeiro alongside members of a real Samba School in an actual Sambadrome parade! 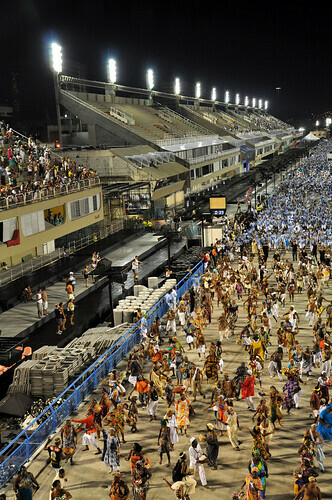 To parade with a Samba School in front of 90,000 cheering spectators, all you need is an official costume. 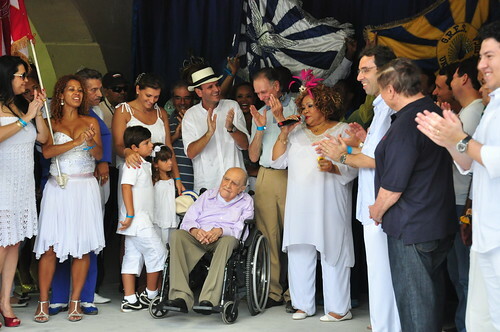 You will parade with the Samba School for which you bought your costume. 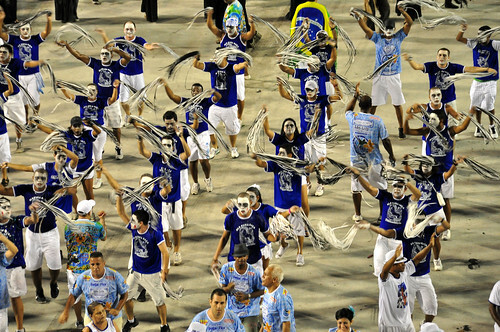 For the Sambadrome Parade, Samba Schools are divided into various wings called Alas. Members of each wing wear unique costumes that correspond to their specific role in the parade. 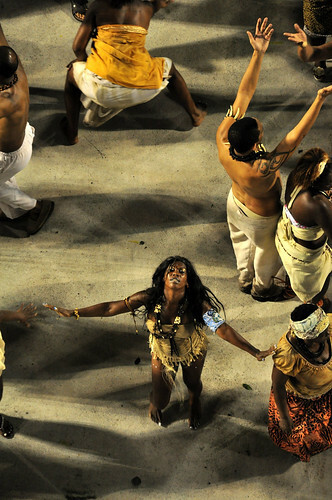 Roles were introduced to the Rio Carnival parades in 1870 with the introduction of the concept of Cordão Carnavalesco. 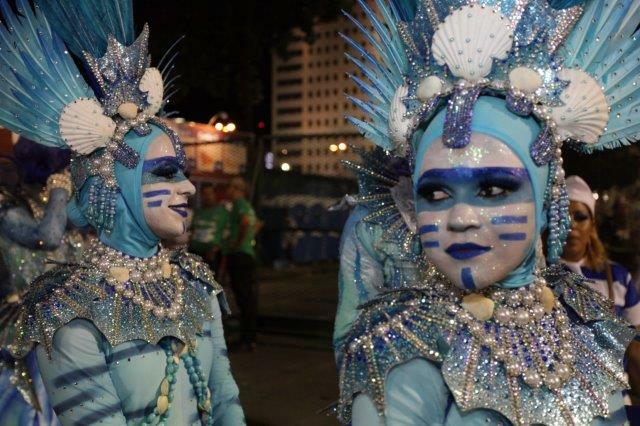 Cordão Carnavalesco refers to the different characters people dressed up as, including kings, queens, witches, and dancers. 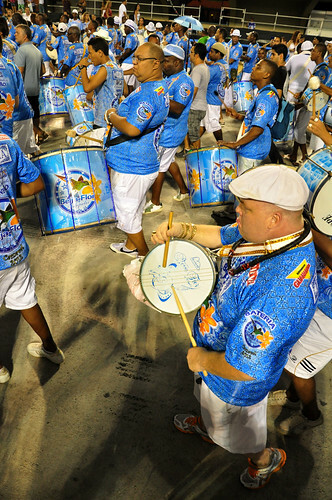 Today, Sambadrome Parade roles can be formal, such as the bateria or the comissão de frente, or they can be creative elements used to portray the samba plot. Costume designs aren’t revealed by the Samba Schools until after the theme and Samba Song are released in December. 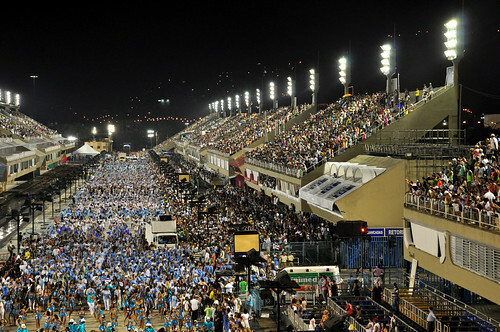 The experience of marching in the Rio Carnival parade cannot be adequately put into words. 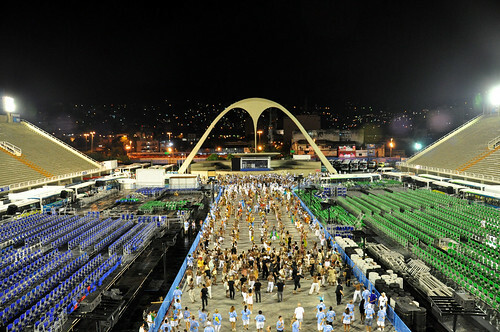 The energy and excitement of marching and singing down the Samba runway in front of 90,000 screaming fans is something you can’t experience anywhere else in the world but in the Rio de Janeiro Sambadrome. Remember to BE ON TIME! 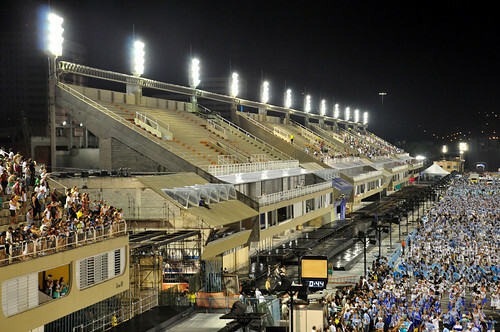 Typically you will meet your host Samba School 2 hours in advance for warmups in the area toward the beginning of the Samba runway near Avenida President Vargas close to Sector 1. Take note whether your school is gathering on the even or odd numbered side of the Sambadrome. For schools gathering in even numbered sectors, meet near Sector 2 at the Correios building. For schools gathering at the odd numbered sectors, meet at Sector 1 next to the “Balança mais não cai” building. Finding your wing is simple as everyone else in your group will be wearing the same costume as you. 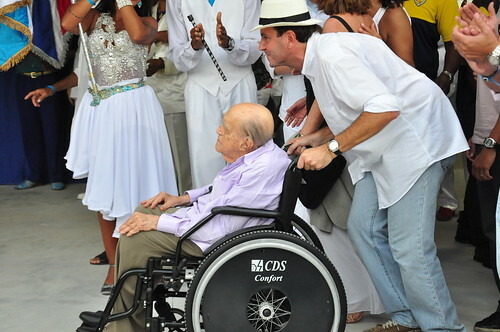 Your Wing President will help you learn some samba steps and ensure nothing is wrong with your costume. You don’t need to rehearse or prepare to parade, but you can make the most out of the experience by learning the Samba Song for your School. 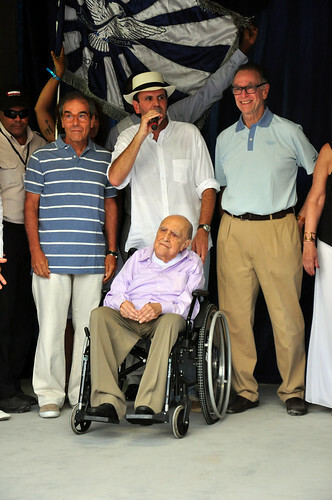 Regardless, by the end of the half mile march down the Passarela Professor Darcy Ribeiro, you will know the words by heart. Remember that the Sambadrome Parade is a judged competition. Parade costumes are taken extremely seriously as even you can and will impact the final score. To protect your costume, only wear it as instructed. Do not wear bright colored clothing underneath the costume if it is visible. 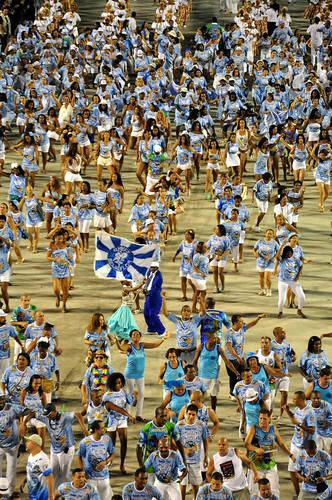 If the costume is designed to show skin, do not wear long pants or long socks underneath so that you fit in as much as possible — unity is one of the major categories by which samba schools are judged. Oftentimes there are extremities to the costumes like feathers, sequins, gems, etc. — so don’t wear or mess with your costume before the parade. If the feathers or sequins fall off, your carnival director may not permit you to parade. 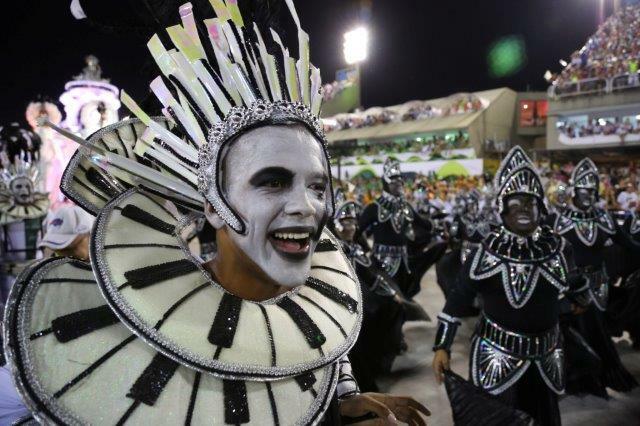 You may wear your costume on the subway if you are arriving to the Sambadrome via Metro Rio — BUT BE CAREFUL! When the parade is finished, the costume is yours! You can have your costume shipped to anywhere in the world. Feel free to wear it to a Carnival Ball, Street Party or wherever you wish. And remember: don’t be embarrassed to wear your costume around town or in a taxi. It’s Carnival time: your taxi driver won’t even look at you twice!